Billboards for the unannounced Oppo F3 and F3 Plus were spotted in the Philippines a couple of days ago, and sure enough, the company's local branch has sent out invites to the press in the country for a launch event. It is to be held on March 23, and while the F3 and F3 Plus aren't explicitly mentioned, it's only logical that they will be the stars of the show. 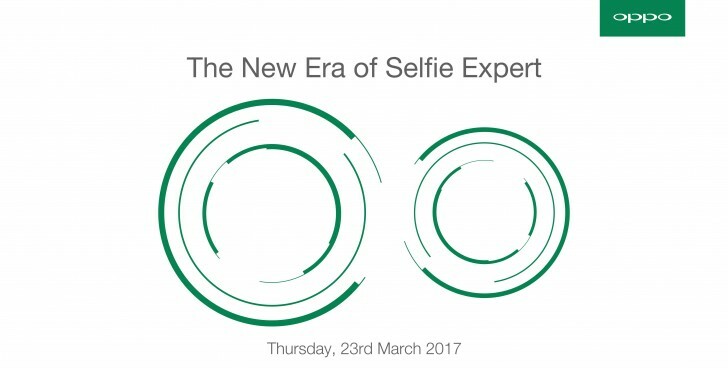 Being the next Selfie Experts - a marketing slogan Oppo used for the original F1, the F3 and F3 Plus will up their selfie game by packing a dual front camera. Or maybe just the Plus, who knows. Oppo's cousin company vivo also offers a smartphone with a dual selfie camera - the V5 Plus that we reviewed recently, so they might have shared some of the know-how (or the entire setup, for that matter). Then again, the vivo V5 (non-Plus), only has the single front camera - we'll see how Oppo goes about it.